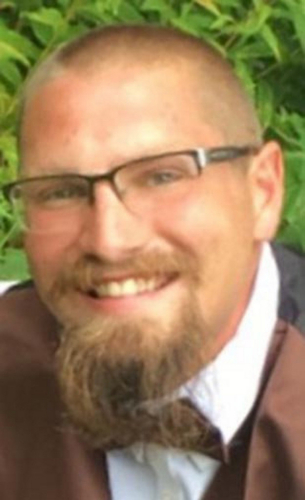 William E. Dolph, 25, Clifford Twp., died Monday as a result of a farm accident. He was the fiancAC. of Paige Payne. Born in Scranton, son of Samantha O'Brien Dolph, Thompson, and the late Robert E. Dolph, he was a graduate of Susquehanna High School. He earned his associate degree from the Fortis Institute, Scranton. He was employed as the stable manager at Birchtown Stables, Clifford Twp. Also surviving are a daughter, Paisley Dolph, at home; a brother, Nicholas Dolph, Thompson; a sister, Brooke Dolph, Thompson; a nephew, Lawrence Dolph; maternal grandmother, Donna O'Brien, Thompson; and several aunts, uncles and cousins. The funeral will be Saturday in the Jones & Brennan Funeral Home, 430 Main St., Forest City, with a blessing service at 1 p.m.
Friends may call Saturday from 11 a.m. until service time.